Two Chinese academics have proposed a controversial idea to encourage childbirth as their country faces an ageing population: Make people with no or fewer than two children pay into a “maternity fund”. The world’s most populous country is now seeking to rejuvenate its greying population as concerns mount that an ageing and shrinking workforce could slow down its economy, while gender imbalances could lead to social problems. 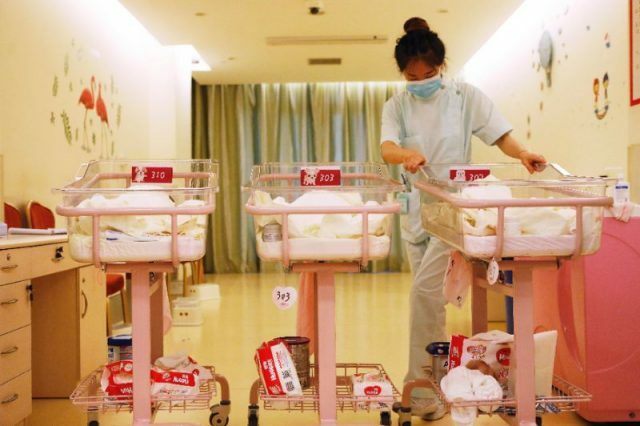 The two academics made their suggestion in Tuesday’s edition of the state-run Xinhua Daily, calling for those below the age of 40 and with fewer than two children should contribute annually to a fund that would offset childbirth costs for others. “When the family has a second child or more, they can apply for relief from the fund as compensation for the income loss the woman and her family sustains during the maternity period,” wrote Nanjing University economics professors Liu Zhibiao and Zhang Ye. The suggestion sparked outrage and mockery on Weibo, China’s Twitter-like social media platform. State broadcaster CCTV has also hit back in a scathing online commentary calling the suggestion “unfounded, unreasonable, and inconsistent”.